Launched in 2003, Unibet Casino truly is a veteran of the online gambling scene. The casino operator’s longevity in this constantly evolving industry is well-deserved and based on the solid foundations of reliability, transparency, fair play, and quality gaming. Unibet is highly praised by casino enthusiasts the world over for its quick and fair payouts, secure gaming environment, and diverse catalogue of first-rate games that encompasses over 600 hundred slots, video poker, scratch cards, blackjack, roulette and baccarat variations that are courtesy of respected software developers the likes of Microgaming, NetEnt, and IGT, among others. Apart from the extensive range of quality online casino games, Unibet boasts superb poker and bingo platforms, a sports betting offering, and a first-class Live Dealer Casino where players can test their skills by competing against professional croupiers in real time. Unibet Casino is the place where players can be transformed into big winners as some of the most popular titles in the catalogue have life-changing progressive jackpots. What is more, you can bag the colossal prize from all places, at all times since Unibet is mobile responsive and operates seamlessly on all widespread smartphones and tablets. Players can hardly complain of lack of promotional offers as Unibet Casino rewards both new and existing patrons with various lucrative bonuses, designed to extend their gaming session and make it more rewarding. The gambling provider works with some of the most widespread and reliable payment methods out there and supports several different currencies to further the convenience of over 15 million players from more than 100 countries. Inexperienced players can always receive more detailed information and adequate assistance via the casino’s live chat feature as the support representatives are always on hand. Unibet caters to the needs of its diverse gaming community and supports over 15 different languages to ensure players can manage their accounts and enjoy their favourite games to the fullest. Unibet Casino was launched in 2003 as part of one of the biggest online gambling companies in the world, the Kindred Group. The minimum deposit amount at Unibet Casino is £10 and players are allowed to set their own limits on maximum deposits. The minimum amount you can withdraw per transaction stands at £15. Unibet awards 10 Free spins on selected NetEnt slots to new players who open an account at the casino. 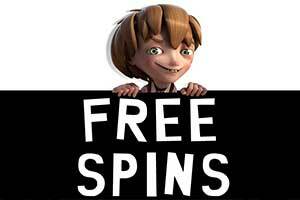 To receive 190 Free Spins more, players are required to make a deposit of at least £100. Wagering requirements of 25x the winnings amount apply. New players can claim a 200% 1st deposit bonus of up to £200 with wagering requirements of 35x the bonus amount. 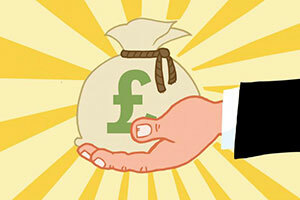 Existing players will benefit from £700 Cash Drops every Tuesday. Slot fans who wager a minimum of £10 on their mobile devices on Sundays are awarded 10 Free Spins on selected slots. There is also a £40 Refer a Friend Bonus as well as various ongoing prize draws for the Live Casino. 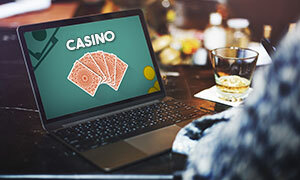 Unibet is home to a multi-level rewards system, allowing players to collect loyalty points and exchange them for free casino credits and free spins on selected slots. Players are awarded 1 point per each £1 bet they place on roulette, baccarat, blackjack, and video poker, 2 points per each £1 bet on all other table games, and 3 points per every £1 bet on all video slots, scratchcards and Keno games. If unclaimed within a 30-day period, the collected points will be voided. The online casino operates on software, provided by NetEnt, Microgaming, IGT, Play’n Go, Evolution Gaming, and Push Gaming, among others. Some of the games with progressive jackpots include Mega Fortune Dreams, Mega Moolah, Arabian Nights, Major Millions, and Caribbean Stud Poker. 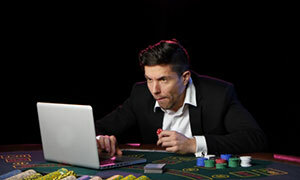 Players can pick from an extensive range of video slots, video poker variants, scratch cards, and traditional table games like Multi-hand and Single-deck Blackjack, Baccarat, French, European and American Roulette, Pontoon, Punto Banco, Vegas Craps, Casino Hold ‘em, Caribbean Stud and Texas Hold ‘em Poker. 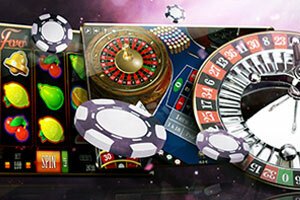 Registered players can enjoy the ultimate casino experience either in Unibet’s Casino Grande or in Casino Royale. Some of the games you can play in real time against the experienced dealers are Live Baccarat, Live Caribbean Stud Poker, Live Blackjack and Live Roulette. Unibet offers dedicated Android and iOS applications for a free download. The apps feature over 150 of the most popular Unibet titles including Gonzo’s Quest, Starburst, and progressives like Mega Moolah and Mega Fortune Dreams. As the website is fully mobile-responsive, players can load the games directly in their portable devices’ browsers as well. Players can boost their account balance via Visa, Maestro, Mastercard, Paysafecard, bank transfers, Skrill and Neteller. All payments to and from the casino are heavily encoded with special 128-bit SSL encryptions for optimal security. Deposits with most of the listed methods are carried out instantly and do not involve additional fees on behalf of Unibet. Unibet players can choose from 15 different currencies – EUR, CAD, GBP, NOK, SEK, USD, CHF, BGN, BRL, HRK, CZK, DKK, HUF, PLN, and RON. The casino’s website supports a wide range of languages, including English, Danish, Norwegian, Finnish, Swedish, German, French, Greek, Italian, Portuguese, Polish, Romanian, Russian, Spanish, Estonian, Lithuanian, and Hungarian. The gambling operator provides adequate customer support around the clock via the convenient live chat feature, email at info-uk@unibetsupport.com, and two telephone lines – 0800 329 393 (toll-free for UK players) and 0207 257 8701 (international operator charges apply). The support agents typically respond within a few seconds when contacted via live chat. Unibet Casino is licensed and regulated by the UK Gambling Commission (License No. 000-045322-R-324275-001) and the Malta Gaming Authority (License No. MGA/CL3/1187/2016). Finding a proper virtual casino is a lot easier than you think. There are a few requirements that should be met in order for players to have a great time while gambling online and game diversity is one of them. You should not restrict yourself when you open an account at a virtual casino. This is why you should opt for a website that offers a wide range of gaming options that can fit different tastes and preferences. At Unibet, you can definitely explore numerous casino games that can provide an immense amount of entertainment and can increase your gaming funds. Powered by a handful of the leaders in the iGaming industry, the games in this online casino entice with impeccable graphics, advanced betting features and fun themes. The gaming library of Unibet includes everything from casino classics to the newest slots. The options that you will be provided are grouped into a few separate categories. You can pick the games listed as the ones providing “The Highest Wins” or you can opt for playing some of the “Overall Favourites”. As soon as you join Unibet, you will have the chance to make real-money bets on some of the most exciting slot games. 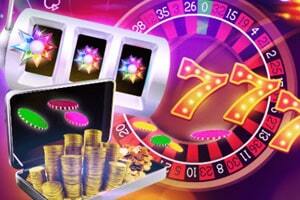 The virtual casino has made sure that any fan of slot machines will be able to enjoy the best spinning adventures. Thanks to the options you will be provided at this web-based casino, you will receive the chance to win some great payouts while enjoying the thrilling gameplay of many popular slots. This section of the gaming library of Unibet can please even the most demanding slot fans. To make the choice of players easier, the virtual casino has divided its slot options into a few subcategories. Interactive players can pick from Classic Slots and Vegas Slots or they can choose Action, Animals, Fantasy, Film & TV and Music-themed slots. If you prefer to play classic slots, you can have a great time with Lucky Lady’s Charm, Rumpel Wildspins, Sizzling Hot Deluxe and many other titles inspired by standard slot machines. Those may not possess features like bonus rounds or special symbols but they certainly can reward you with a big prize. If you are eager to try some of the fan favourites in this category, you can get a kick out of spinning the video slots that Unibet has prepared for its patrons. Among the innovative slot titles, you will see NetEnt’s popular Starburst, Microgaming’s Immortal Romance, Rich Wilde and the Book of Dead powered by Play’n Go and many other well-known slot variations. 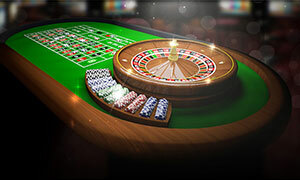 The fame of roulette is undeniable and it is a game which is played at top-class land-based casinos all over the world. Fans of the popular game will have the chance to revel in playing plenty of its variants at Unibet. Players who embark on roulette adventures at this online casino will be more than glad about the diversity they will be presented. As soon as you log into your gaming account you will be able to see the table games provided by Unibet and you will have the chance to pick a roulette table that will suit your preferences. Below each title under this category, casino patrons will see the betting limits that apply. This way virtual players will be able to pick the roulette table that fits their budget the best. The great thing about the options offered by Unibet is that both high-rollers and players who prefer to make lower stakes will be able to find a game that will appeal to them. The online casino has made sure that roulette fans will have enough options to choose from. Unibet has prepared a few European roulette variants and for those who enjoy the La Partage rule, there is also the chance to play French Roulette. Players who are seeking more thrilling roulette adventures can try Double Ball Roulette. If roulette is considered the classic table game of the gambling industry, then we cannot also miss mentioning blackjack. The card game has remained throughout the years as the source of entertainment for classy and seasoned casino experts. At Unibet, interactive players will be presented with a host of blackjack variations which may result in pretty impressive payouts. What makes this web-based casino a great place for fans of the game of 21 is the fact that it will not disappoint with the titles it offers. Since major software providers have supplied the blackjack games at Unibet, casino patrons can expect games with amazing graphics, advanced features such as side bets, as well as different betting limits. Once again, online players will be able to see the betting limits below each blackjack game and pick a table that will allow them to enjoy the most lucrative and fun game of 21. At Unibet, you will have to try to beat the dealer and get as close to 21 by playing Blackjack Perfect Pairs, Classic Blackjack Gold, Blackjack 21+3 and many other exciting variations of the game. 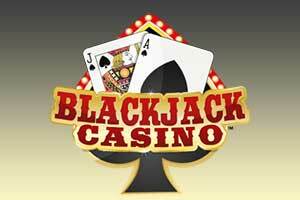 Casino members will also have the chance to opt for blackjack versions that utilise a different number of hands. Thanks to the diversity in the table games at this web-based casino, players can find the game that will perfectly fit all of their preferences. For those who enjoy the game of poker but still have a difficult time utilising the right kind of strategy, there is always the option to try video poker. It is a very fast-paced game and its rules are a lot easier to understand. Some say that this genre of casino entertainment combines the randomness of slots and the standard poker skills. If you are excited to find out whether you can boost your gaming balance by playing video poker, you can always start your gambling adventures at Unibet. 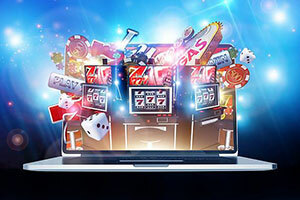 The online casino offers several variations of the game that allow players to test their video poker strategies and strive to win generous payouts. Many casino enthusiasts believe that if the right video poker strategy can tilt the scales in favour of players. A big part of enjoying a fruitful gameplay is also choosing the right video poker option. If you are a member of Unibet, you will have the chance to test your poker skills and your luck on titles such as Jacks or Better, All American, Deuces Wild. There is also the opportunity to try Abracardabra which is the newest addition to the video poker category of this online casino. It is an interesting fusion of slot machines and video poker and players can get great payouts if they are lucky enough. What would you do if you are one spin away from becoming an instant millionaire? At Unibet, virtual players have plenty of tempting options to try their luck and sweep fantastic jackpots. If you are willing to take the risk of making a bet on one of the progressive games of this web-based casino, you will have the chance to possibly win a massive cash prize. 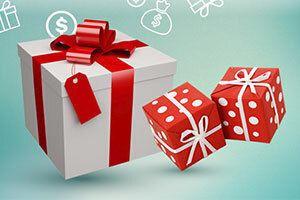 By making a maximum bet on one of the jackpot games provided by Unibet, you are qualified for receiving a massive prize. The prize pool of this type of games is constantly growing thanks to the bets of players who are not lucky enough to hit the jackpot rewards. 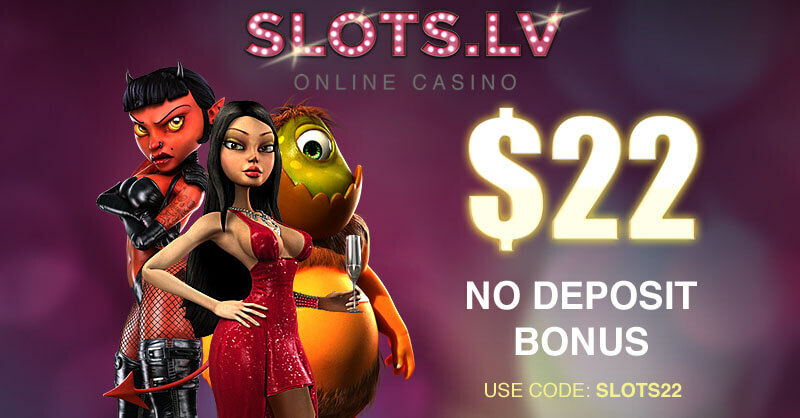 At this virtual casino, you will be able to play for the impressive prizes of some of the hottest slots, progressive video poker games and even Live Casino poker. Casino members will have the opportunity to pick from numerous jackpot titles which include games that can create millionaires in an instant. Currently, the games which offer the biggest rewards at Unibet include Mega Moolah, Mega Fortune, Major Millions and Evolution Gaming’s Live Casino Hold’em Jackpot. If you want to enjoy the ultimate virtual gambling experience, you should try the live-dealer games that Unibet has in store for its patrons. Thanks to numerous gaming options, members of the virtual casino will be able to transfer the classy and entertaining charm of brick-and-mortar casinos into their own homes. NetEnt and Evolution Gaming are the software providers that have supplied the Live Casino games at Unibet. This is the reason why interactive players will be able to enjoy plenty of roulette, blackjack, baccarat and poker versions as soon as they log into their gaming account. The great thing about the tables available at the Live Casino lobby of Unibet is that they have betting limits ranging from very low, to quite risky high stakes. This is great for seasoned players who expect better rewards for their online casino gambling. Whether you like playing with a lower risk or you are a high-roller who enjoys high bets, you can find the perfect live-dealer game to suit your taste. At Unibet, you will be presented with options such as Live Roulette – Grande, Lightning Roulette, Live Blackjack – Grande, Live Baccarat – Grande, Ultimate Texas Hold’em and other live-dealer table games. You can also test your luck on the wheel of Dream Catcher and hopefully win major prizes. Can I play Unibet games on my mobile phone? Yes, many of the games at Unibet Casino have been adapted for mobile play and are compatible with devices running on iOS and Android. Downloadable applications for iOS and Android are also offered, allowing players to enjoy over 150 slot games, including various progressives like Mega Fortune Dreams and Mega Moolah as well as a great variety of traditional table games. The apps are very easy to navigate, which makes it exceptionally quick for players to browse through the mobile catalogue and find their favourite games. Do keep in mind the mobile games can be played only for real money and practice play is not an option on the go. Are my personal and banking details well protected? Unibet places a great stress on ensuring its players are provided with a secure gaming environment. The online gambling operator has adopted the 128-bit encryption to encode the information concerning banking transactions and personal data. The information is stored within Unibet’s secure systems which undergo regular tests, performed by third-party security experts. The operator complies with all the strict guidelines of the Payment Card Industries Data Security Standards and the European Gaming and Betting Association. Can players change their accounts’ currency? The players are expected to pick the currency they intend to use in the process of registration and cannot change it on their own afterwards. If any given player insists on switching to another currency after they have completed their registration, they are recommended to contact the Unibet Casino’s support agents for assistance. At the present moment, Unibet supports 15 different currencies, including the commonly used USD, CAD, GBP, and EUR, among others. As I was browsing Casino Guardian I came across this review so I decided to give Unibet a try. When I first entered the website, I really liked the modern design and how the sections were arranged. The clean user interface makes the website very easy to navigate. The games are started directly in your browser and they run smoothly and without glitches. I played some Starburst, Cosmic Fortune, and Blood Suckers, among others. Finally, I decided to call it a night and play later in the week. Overall, I enjoyed my experience at Unibet, short as it was. I’m planning on playing a lot more in the future if I get the time. Unibet is my most recent venture. I registered there drawn in by the wonderful Welcome Bonus. I deposited by using my Visa card and the transaction went through without any issue. I check out their selection of slot games and found myself playing Leprechaun goes to Hell and Dead or Alive for a few hours. I really enjoyed my session and due to the nice return percentage, I kept a good chunk of my money. I didn’t come out ahead but I think it was money well spent. The next evening I decided to try out the blackjack games at the Live Casino. I had better luck there and even managed to double my balance, but then had a streak of bad hands and ended up losing some. Since I was still ahead I decided to withdraw my winnings and call it a day. I had the money sent to the same card that I used to deposit and it appeared in my account after 3 days. Overall, I am quite satisfied with how things turned out. I had fun and even managed to win a few pounds. I will definitely be playing there again soon. Unibet is an online casino where I have spent countless hours and my hard-earned money. Unibet drew me in with its diverse selection of games and the wonderful bonuses. I am particularly fond of the Live Roulette games, though I often dabble in virtual blackjack. Neteller is my preferred transaction method and I have never had an issue with payments. The cashback programme and the reload bonuses are some that I really enjoy since I can take advantage of them at regular intervals. The customer support has assisted me more than once, answering any stupid questions that I might have. Overall, the casino is rightfully an industry leader, every aspect of it is designed to please its users, a notion that not all other casinos understand. I have been a long-time player at Unibet and I wish to share my experience with you. For starters, transactions are carried in a quick and timely fashion. I, typically, deposit using Skrill and the transfer is instantaneous, while withdrawals via the same method never take more than up to 2 business days. The casino offers a good amount of high-quality games to keep you playing for a long time. Here you can play all the usual slots, table games, video pokers, as well as place some bets at the Live Casino. The games are supplied by numerous companies, including Microgaming, NetEnt, Nyx Interactive, Play’n GO, and more. Unibet is a big name in the online gambling industry, a status gained through user-friendly practices and excellent service. 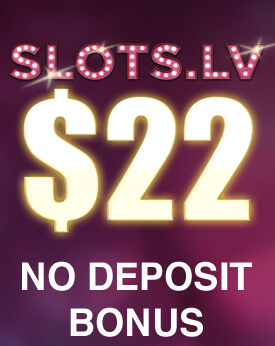 The casino section of the website offers players many different slots, table games, progressive jackpots, etc. There is also the addition of the Live Casino if you want that authentic casino atmosphere. In the event that you have a problem, you can contact the customer support team at any hour of the day through live chat, email or phone call. Unibet supports all the usual payment methods used to deposit and withdraw money, i.e. Skrill, Neteller, Visa, paysafecard, etc. All of that combined with the regular promotions makes for a casino worthy of commendation. If you decide to play here you will definitely be left satisfied.